The mid-size segment, once a key market sector, is diminishing in importance year by year. Some buyers have downsized to the larger compacts now available, while others have defected to entry-level luxury cars and compact CUVs. 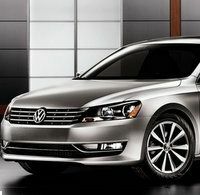 Two new mid-size cars, the Toyota Camry and a U.S.-bulit Volkswagen Passat, are the only new entries for the 2012 model year. Several segment stalwarts, including the Chevrolet Malibu, Ford Fusion, Honda Accord, Mazda 6 and the Nissan Altima are in their last year in their current forms. New debuts for 2013, the Chevrolet Malibu and 2013 Nissan Altima have been shown to the pulblic; and will go on sale by the summer of 2012. The 2013 Ford Fusion was unveiled at the Detroit show in January 2012, and will go on sale late 2012. Subaru showed mid-cylcle refreshes of its Legacy and Outback lines at the New York show in April, with sales starting ih the fall of 2012. The four-cylinder cars in this class deliver a pleasing blend of performance, refinement and fuel economy. They are as quick and quiet as many six-cylinder cars in this class were a decade ago. The optional six-cylinder engines in this segment, originally for those who wanted a bit of extra power and refinement, have grown so powerful that most V6 cars in this class produce more horsepower than the 4L V8 did in the first Lexus LS400. U.S. government CAFÉ (corporate average fuel economy) regulations is already cutting the availability of V6 engines in these cars as companies try to improve fuel economy to conform with the new standards. 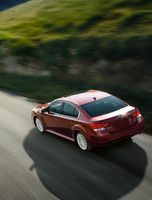 The 2012 Buick Regal, Hyundai Sonata and Kia Optima are all exclusively four-cylinder, with 2013 versions of the Chrevrolet Malibu, Ford Fusion and Mazda 6 ready to join their ranks. Safety equipment like side-curtain airbags and ABS are fitted to all the cars in this segment. Electronic stability control (ESC), a proven life saver that can correct a vehicle skid even before a driver knows that the car is about to lose control, is standard equipment on most the cars in this segment. Twelve of the fifteen 2012 model cars evaluated in this section have received Good ratings in the four tests (front, rear, side and roof strength), conducted by the Insurance Institute for Highway Safety (IIHS). The former incentive wizards of the domestic makers once used cheap leases to attract buyers. With the credit crunch, the domestics backed off leasing for several years, but Ford and GM, though not Chrysler, are back in the game. That said, only the Buick division of General Motors is offering lease arrangements that are in any way compelling. Of the Japanese brands, only Honda and Toyota are offering high-value leasing plans. Nissan on the other hand, will lease you a vehicle but like Hyundai and Kia, lease monthlies are too close to finance payments to make leasing worthwhile. A note about mileage: The APA's posted fuel economy figures for 2012 differ from those published by the Canada EnerGuide. For 2012, the APA is using the U.S. Environmental Protection Agency (EPA), numbers for fuel economy, as they better reflect real-world fuel economy. For more information, read APA President George Iny's article regarding the inadequacies of the Canada EnerGuide test cycle. No changes of note in the current Altima's last year. Hooked up to the CVT, the 2.5L Altima oozes serenely around town. Strong urge is combined with relaxed cruising, but the high revs the CVT summons during hard acceleration can spoil refinement. Well-chosen ride-handling compromise on the 2.5L car. Good fuel economy. The V6-CVT combination delivers quick acceleration, refined operation and relaxed cruising. The ride on the V6 Altima is on the resilient side of firm. The cabin is attractive, comfortable and constructed from quality components. Large trunk, but the rear seat release pulls are hard to reach. 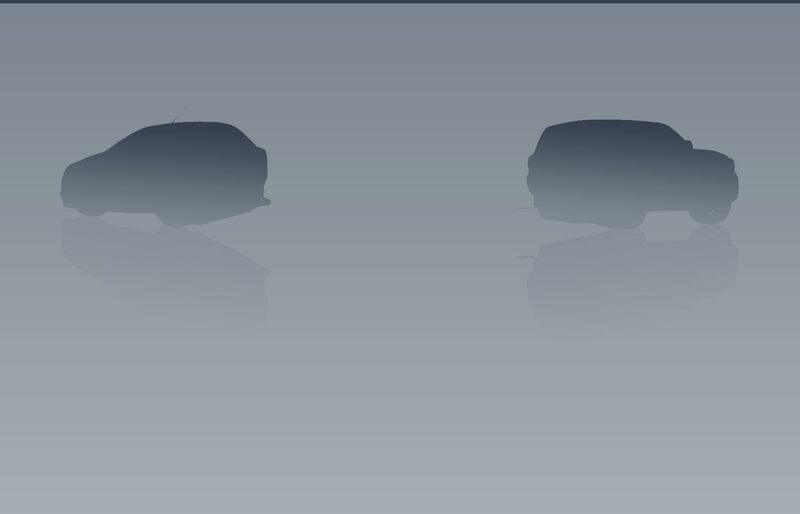 Two body styles, a sedan and a coupe, are available. Power for both body styles stems from either a 2.5L four or a 3.5L V6. Regardless of which engine is installed under the hood, power reaches the front wheels via either a six-speed manual transmission or a continuously variable transmission (CVT). 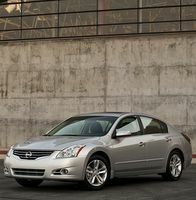 The Altima is one of the best mid-size sedans available in Canada. Overpriced 3.5 SR sedan upgrade. Other option packages and trim level upgrades are priced to reflect their additional contents. When other equipment is accounted for, the V6 engine costs $2700 to $4900 extra on the sedan and $4800 on the coupe. The coupe is priced up to $700 more than a similarly equipped sedan. The coupe has fewer trim variations than the sedan. Equipped the same, the 3.5 SR sedan is priced little cheaper than the base Maxima. Above average reliability. The previous-generation (pre-2007), Altima was vulnerable to rust. Some problems reported with the V6 engine. Fifth-generation Altima sedan built on the platform of the fourth-generation model. In an era where styling is becoming a key differentiator, the new Altima's exterior design may look too familiar and insufficiently adventuous to draw any new customers to the Nissan brand. 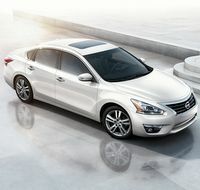 he styling is all new and incorporates Nissan's new wide, tall chrome grille first seen on the 2012 Versa sedan. The very high hoodline stems from the need to be a crumple zone to protect pedestrians from injuries caused by coming into contact with mechanical components under the hood. The Altima's platform will likely underpin the next Renault Laguna which will need to meet European pedestrian impact standards. Built on the same wheelbase as before, cabin space is unchanged. The interior appears to be solidly constructed, but its styling borders on the prosaic and lacks the "surprise and delight" features and visual qualities that would compell a prospect new to Nissan to decide to buy an Altima. Though many competitors have ceased offering a V6 engine option in their midsize cars, Nissan, while admitting the V6 accounts for just 10 percent of sales, even in the U.S., are offering a V6 in the 2013 Altima. 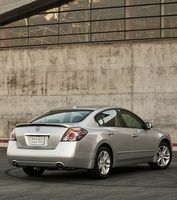 The 2.5L four, rated at 182 horsepower for 2013, returns as the Altima's main engine. Both engines are hooked up to a continuously variable transmission which drives the front wheels. The 3.5L V6 is rated at 270 horsepower. Between the weight loss and other efficiencies, Nissan claims that the new Altima will be the quickest, most fuel-efficient car in its class. The redesigned rear suspension incorporates an active understeer control system. Available active safety features on the 2013 Altima include blind spot and lane departure warning systems, and moving object detection which has a cross traffic feature that can alert the driver of a car approaching from the side in traffic, or as the vehicle is backed out of a parking spot. Connectivity is enhanced by a standard Bluetooth phone hookup, as well an optional hands-free text messaging system. The S package is priced to reflect its additional contents, the SV upgrade is very good value and moving up to the SL trim level is a bargain. Good value Nissan Connect and Technology packages. The V6 is a $3000 premium compared with a similarly-equipped 2.5L car. New vehicle, not rated. The previous Altima was rated above average. Legacy: 2.5L Sport discontinued. 3.6R and 3.6 Limited merged. Both: all Limiteds include navigation. Rear-view camera deleted. New colours. 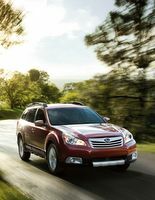 The abundant low-speed torque produced by the flat four permits the Legacy and Outback to easily keep up with traffic. The continuously variable transmission (CVT) makes good use of the available power and reacts quickly to throttle inputs from the driver. When maximum power is required, like when accelerating strongly or passing, the high sustained revs the CVT will maintain combines with the throaty 2.5L four to spoil refinement. The 3.6L six is much quicker and more refined than the flat four, but uses a lot more fuel. The conventional five-speed automatic transmission shifts smoothly but is reluctant to downshift. Like most recent Subarus, the Outback’s suspension is biased toward ride comfort, which is very absorbent. Only large potholes or big bumps intrude into the cabin. This suppleness has reduced the feeling of immense stability and delightfully precise handling exhibited by the previous generation Outback. The Outback’s handling is sound and predictable, but the car leans noticeable in curves. The steering is nicely geared and reasonably precise, but is on the light side, especially on the Outback. The brakes lack precision. The turbocharged four in the Legacy 2.5 GT furnishes vivid, flexible acceleration. While not the smoothest engine, it makes an enthusiastic, joyful noise. The six-speed manual transmission it is hooked to has a precise gearchange, a docile clutch and a well-chosen set of gear ratios. Handling is more precise and athletic than it is in other versions of this platform, and the GT’s ride, while firmer than in the Outback, is still quite resilient. The steering is weightier than in other versions of this body. Good exterior vision. The Legacy and Outback are very roomy. Comfort, however is not guaranteed as the support from the front seats dissipates after a few hours, making long journeys unpleasant. The rear seat is substantial and supportive. Impressive trunk space in the sedan and cargo space in the wagon. Class average cabin materials and very good assembly. The dashboard is stocked with big, clear gauges, though not a temperature gauge, which has been bizarrely displaced by a fuel consumption gauge. The climate control system uses a combination of buttons and dials when three knobs would suffice. The prominent location of the Bluetooth interface in the centre of the dash seems both an afterthought and an 80s affectation. The audio systems in the base models are disappointing, but the premium sound systems in the fancier models produced rich, crisp sound. Weak air conditioning. Power stems from either a revised 2.5L four or a 3.6L six. Transmission choices include a CVT (2.5L) or a five-speed automatic (3.6L). A six-speed manual is offered with the base four and the turbocharged Legacy. 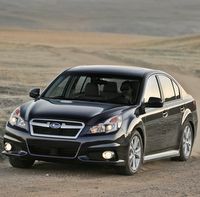 Subaru has split this model down body lines, with the sedan called the Legacy and the wagon marketed as the Outback. Good value package upgrades. The Outback sells for roughly $3800 more than the Legacy, around $1000 of which can be attributed to the station wagon body. Pricy 2.5GT model. A Legacy Touring is priced roughly $1500 more than an Accord EX sedan but includes all-wheel drive. Good value leasing for 2012. Above average reliability since engine improvements were made in 2006. Unproven CVT transmission. Mid-cycle remakes for Subaru's mid-size cars. The turbocharged Legacy GT has been discontinued. 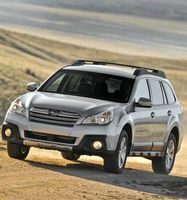 The Outback and the related Legacy receive mid-cycle refreshes for the 2013 model year. The exteriors feature revised frontal styling, and the cabin undergoes a number of changes, including a redesigned gauges, dash centre stack and revised trim that make the cabin feel more luxurious than before. The new-generation 2.5L boxer four, available in the Forester since 2011, develops 173 horsepower, three more than the old engine. Subaru claims the new engine, combined with a second-generation continuously variable transmission, improve performance and fuel economy. The 3.6L flat six, linked to a five-speed automatic transmission, continues unchanged. Suburu states that structural, suspension and steering system changes result in a smoother, quieter and crisper-handling Legacy and Outback. A number of new active safety features are part of an available "EyeSight" driver-assist system which incorporates pre-collision braking with pedestrian detection, lane departure and sway warning and adaptive cruise control. The pedestrian detection feature can slow, or even stop the car if necessary; an astounding safety benefit for a car in its price class. Unlike some manufacturers that use radar as a basis for active safety features, Subaru uses forward-facing stereo cameras located in the rear-view mirror. All variants feature all-wheel drive (re-branded iAWD), and a CVT. Bluetooth is standard for 2012. On paper, the 2.4L four and CVT transmission looks like a good powerteam, however, except for impressive cruising refinement, the Kizashi feels sluggish, and is unacceptably harsh and noisy for a car in this segment. Though a bit numb, the Kizashi's steering is nicely weighted and geared. Very well-judged ride-handling balance. Outward visibility is hampered by small windows and a high rear end design. Elegant cabin with big, clear gauges, logical controls, and impressive fit and finish. Excellent space utilization results in a roomy cabin in a car that is smaller than mainstream mid-size cars. Superb audio quality. The Kizashi's trunk is smaller than those of bigger competitors. 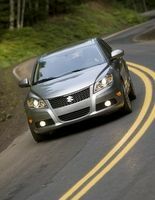 The Kizashi is Suzuki’s first home-grown (the old Verona was a Daewoo-derived car) mid-size car. It has clean lines fronted by a Volkswagen style grille. Only one powertrain, a 2.4L four sending power to all four wheels via a CVT, is available. Kizashi sales increased marginally, to 734 units last year. APA has dropped the rating on the Kizashi to Average this year, as Suzuki's dwindling presence in Canada (from about 9000 sales in 2010 to under 6000 in 2011) augur poorly for the brand's long-term prospects in this market. Several Suzuki dealers have closed, and obtaining parts and service can require a long drive outside major metropolitan markets. So far, parts supply and resale values have not been an issue. Upgrading to the SX trim level is exceptional value but the Sport package is overpriced. The Kizashi SX is priced $2400 less than a Subaru Legacy 2.5i Limited, which is roughly the value of the Navigation system the Suzuki lacks. 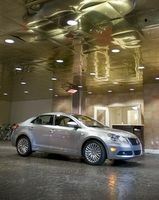 Limited sales of the Kizashi will likely result in rapid depreciation. Not rated due to limited sales. The 2.5L four is quick, quiet and is well-matched to its smooth-shifting six-speed automatic transmission that can be reluctant to kickdown when maximum acceleration is requested. With a four this good, the optional 3.5L V6 is totally superfluous. While still exhibiting and absorbent ride, the new Camry traded the the wallowy handling that was so big a part of its predecessor for a more confident, planted feel. The Camry is a great highway car. Although the steering is nicely geared and very linear in its response, it is too light and provides little road surface feedback through the steering wheel. The Camry is generally quiet, but roadnoise intrudes a bit more this year than in years past. The brakes have a solid pedal feel and work well, exorcising the spongy brake feel of Toyotas past. Very good outward visibility compared with many mainstream competitors.Good audio system. Crisp, clear gauges are housed in a dashboard with a visually very busy dash centre stack. The audio controls are simple to operate, but the multi-button climate control interface is needlessly complex. Except for an inexpensive-looking headliner material, the cabin features much more attractive components than last year. The base LE's two-tone cabin fabrics look more upscale than the drab upholstery used last year, and the SE's leather and suede seat combo looks very plush. There are more padded surfaces inside the new Camry, and premium details like real stitching on the dashboard crashpad, enhance cabin ambience. Comfortable, supportive seating front and rear is allied to good legroom for both rows of seats. The nearly flat floor gives the middle rear seat passenger a place to put their feet. The very good driving position can be tailored to suit a vast array of drivers. The large centre console is covered by a large, sliding armrest. The rear centre armrest contains dual cupholders. Big trunk. The Camry was judged the best car in a recent three car test that included the Kia Optima and Volkswagen Passat, which tied for second place. The seventh-gen. Camry is a dimensional doppelganger of its predecessor, and bears close visual links with the 2002 Camry. Two engines, a 2.5L four, rated at 178 horsepower, as well a a 268 horsepower 3.5L V6, are available. Power reaches the front wheels via a six-speed automatic transmission. The Hybrid model combines the 2.5L four with an electric motor to produce a combined 200 horspower. The SE upgrade is reasonable value. The XLE package is overpriced. High-value option packages. The V6 costs from $2000 to $4000 extra, depending on model. High value leasing. A Camry SE 2.5L with the Leather and Sunroof package is priced $2400 less than an Accord EX-L Navi. A Camry XLE V6 is priced roughly $1900 less than a Honda Accord EX-L V6 sedan. Above average reliability predicted. The previous Camry has a few launch-year glitches. See the Hybrid and Electric car section. Mid-cycle remake for the Prius, including a $1000 price cut on the base model. A plug-in Prius was introduced but no information is available. The cabin design of the Prius is avant-garde, which is great for looks but bad for the controls, especially those for the transmission, which are needlessly confusing. The parking brake is also very poorly placed, disappearing from view when deployed. The digital instrumentation works acceptably well. Comfortable seats. Good fit and finish. The small, shallow trunk is compromised by the elaborate under floor storage box that consumes crucial trunk depth. Smooth ride, light, inert steering and stable but unenthusiastic handling. The Prius feels incredibly heavy on the road. 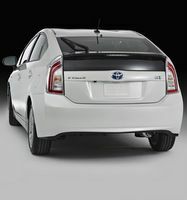 The Prius will operate in full electric mode in stop and go traffic, allowing for effortless, smooth progress. The transitions from electric power to the combined gas and electric mode are seamless. The Prius accelerates well enough and is acceptably refined except when accelerating hard, when the CVT allows sustained high revs until the desired speed is reached. Restricted rear visibility. A single powertrain, a 1.8L four linked to an electric motor, sending power to the front wheels via a CVT, is available. 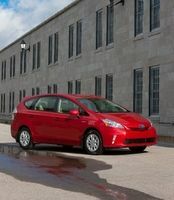 Once a single car, the Prius is now a family, with the smaller Prius C and larger Prius V now on sale. Th solar moonroof uprade package and the Touring package are good value. Overpriced Technology package. High value leasing. 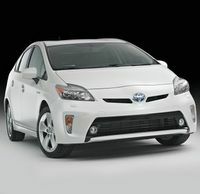 The Prius is the most successful hybrid vehicle available for sale. Above average reliability with no serious complaints about the complex hybrid system. New larger Prius station wagon using the same powertrain as the regular Prius hatchback. The V is built on an 80 mm (3.15 inch), longer wheelbase, and is 135 mm (5.31 inches), longer, 30 mm (1.18 inches), wider, 85 mm (3.34 inches), taller and 88 kg (194 lbs. ), heavier than the Prius hatchback. Clean, contemporary exterior design. Comfortable seats and good room front and rear. The steering wheel is too far away despite a telescope feature. Centrally mounted digital instruments. Long, wide, shallow cargo bay. Noisy engine, dull steering, unenthusiastic handling, choppy ride and hard to modulate brakes. Touring and Tech packages on the V are well priced. Other upgrades overpriced. Fantastic lease value. High demand has outstripped supply and Prius V intenders will have to wait up to six months for their new cars. New vehicle, not rated. 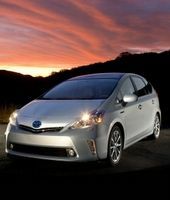 The Prius hatchback that provides the powertrain for the Prius V is rated above average for reliability. The torquey 2.5L five moves the Passat smartly off the line if you can get some response from the stiff, non-linear throttle that initially does little to energize the engine and then energizes it too much. The engine produces little puff below 4000 rpm, below which speed throttle response is torpid. Acceleration doesn't match that of most four-cylinder competitors. For every person who likes the distinctive sounds produced by the 2.5L five, there is another who dislikes it. For non-fans, engine noise disappears unless strong acceleration is required. The six-speed automatic transmission shifts smoothly but is keen to attain the highest gear possible as quiicly as possible. The Passat can be in sixth gear as slow as 55 km/h, meaning any meaninfull acceleration is going to need a lower gear, which increases noise and hurts fuel economy. Driven briefly, the 2L turbodiesel was smoother, quieter, more economical engine than the 2.5L five. The softer suspension settings chosen by Volkswagen to suit North American tastes delivers a compliant ride but allows more body lean than expected in a Passat. That said, the car exhibits very neutral handling characteristics, and is unfazed by big dips or significant mid-corner bumps. Though a bit light and numb, the Passat's steering provides neutral and linear response to inputs. Powerful braking despite spongy brake feel. Fronted by a dashboard with clear gauges, crisp electronic readouts and logical controls, the interior reflects sober, traditional VW style. Chic two-toning melds with faux woodgrain and bright accents, all crafted from materials no less elegant than in the last Passat. The prosaic exterior encloses a massive cabin containing the large, comfortable seats VW is renowned for, which are allied to expansive legroom that makes the Passat the limousine of the mid-size car segment. Wide, long, but shallow trunk. Built on a 94 mm longer wheelbase, the 2012 Passat is 88 mm longer overall, 15 mm wider and taller and 53 kg heavier than its predecessor. The redesigned Passat bears au courant VW iconography but looks crushingly dull. Three engines, a 2.5L-5 seen in the Golf and Jetta, a 2L turbodiesel and a 3.6L VR6, are available. The Comfortline trim upgrade is priced to reflect its addition contents. The Highline trim model is very good value. The TDI is priced $2300 to $2600 higher than a 2.5L of the same trim level. 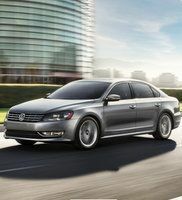 However, resale value of a Passat diesel is such that much of the difference will return whe the car is traded in. The VR6 is priced $4325 more than the 2.5L. Good value leasing. New vehicle, not rated. Electrical problems are possible. Expect typically high VW servicing costs. Unproven DSG transmission.